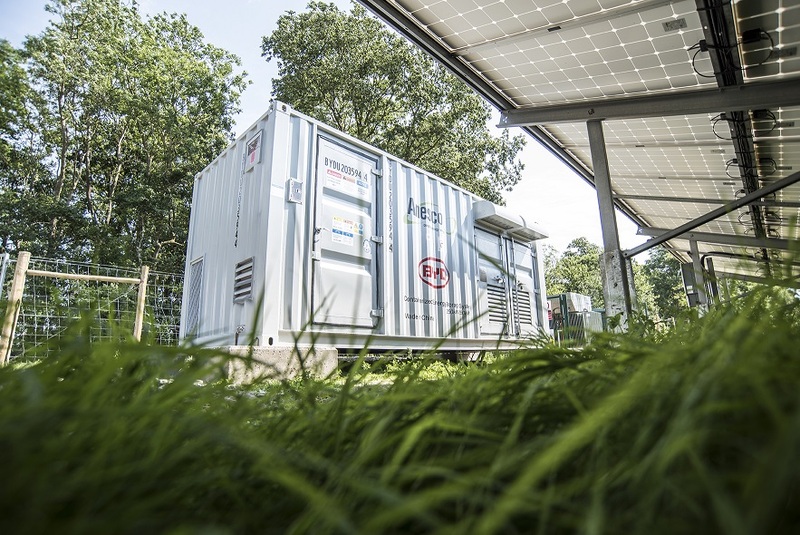 Ofgem has made a “game changer” decision for UK energy storage by confirming that solar farms are able to retain accreditation under the Renewables Obligation (RO) when supplying electricity to batteries. The first beneficiary of the decision is Anesco, which confirmed this morning that it is now the first commercial solar farm operator in the country to retain accreditation for three of its 5MW sites, all of which are connected to 1.1MWh batteries though shared grid connections. Ofgem’s decision under the RO scheme means that operators of the sites can receive RO Certificates (ROCs), which is support paid to accredited renewable energy generators, for the electricity they generate and supply to the battery as well as the remaining electricity they export to the grid. Anesco has said this landmark decision will now serve to remove one of the key barriers to deploying storage in the UK, as executive chairman Steve Shine has explained. “This decision is a game changer for the UK’s energy storage market. Ofgem has firmly cemented energy storage as being a vital part of the solution to keeping the country’s ‘lights on’,” he said. Despite the decision, which serves to offer a new layer of certainty for storage projects looking to be co-located with renewable generation, Ofgem has yet to publish guidance on how this process of accreditation operates. Luke Hargreaves, head of renewables at Ofgem, has said this guidance on the arrangements for storage under the Renewable Obligation and Feed-in Tariff (FiT) schemes will be released later this year when feedback from stakeholders will be sought. Anesco will not be publishing its own methodology but with the decision having been confirmed, the company will now approach investors in its portfolio of 101 solar farms, to offer the opportunity to improve their internal rate of return by investing in energy flexibility for the UK network. This is likely to result in Anesco growing its energy storage assets from the current 28 operational sites totalling 29MW. This news is the latest from Ofgem to pave the way for a smoother integration of battery storage into the UK energy system, following the actions outlined in the recent publication of the smart systems and flexibility report. Luke Hargreaves, head of renewables at Ofgem, said: “Battery storage can assist with system balancing and save consumers money by matching supply and demand. It has the potential to play an important role as Britain makes the transition to a low carbon, smarter and more flexible energy system. In a recent blog for Solar Power Portal, Solar Media market research analyst Lauren Cook said the UK currently has a 3.5GW pipeline of utility-scale energy storage projects, writing that the queue of projects was diverse, with a wide range of business models, applications and project sizes.